Bird feathers may be the key to new adhesives and advanced aerospace materials. A, E, and F show birth feathers under normal magnification and under the microscope. B shows a model of the team’s 3D-printed structures and its behavior during a wing’s upstroke (C) and downstroke (D). Image credits T. Sullivan, M. Meyers, E. Arzt, 2019, Science Advances. If you’ve ever toyed around with a feather you’ll know that they somehow pull themselves back together if you take their barbs apart. The structures that underpin this behavior may point the way to novel adhesives and aerospace materials, say researchers from the University of California San Diego. Tarah Sullivan, who earned a Ph.D. in materials science from the Jacobs School of Engineering at UC San Diego, led the research efforts. Her team is the first in roughly two decades to take an in-depth look at the structure of bird feathers without focusing on a particular species. Based on their observations, the team 3D-printed structures that mimic the vanes, barbs, and barbules of feathers to better understand their surprising properties. This step helped them better see how feathers knit themselves back together after you pull them apart, for example, or how their undersides can capture air for lift while the top of the feather can block air to help with the landing. Sullivan found that barbules — smaller, hook-like structures that connect feather barbs — are spaced within 8 to 16 micrometers of each other. This distance remained stable throughout bird species, from the hummingbird to the condor, suggesting that it is an important property for flight. The vane-barb-barbule structure seen in feathers could lead to the development of new materials. Adhesives — similar to Velcro — and materials intended for the aerospace industry are the team’s main areas of interest. Sullivan has already built a prototype adhesive material which she plans on discussing in a follow-up paper. Sullivan’s team also took a look at the bones in bird wings. They found that the humerus (the longest bone in the wing) is disproportionately long. This is likely intended to give it enough strength to take the weight of a bird’s body in flight, they say. Because bone strength is limited, and because the humerus carries the brunt of the load during flight, scaling it up proportionately to the rest of the wing just doesn’t cut it. Instead, the bone needs to grow much faster and to a greater relative size to withstand the forces it’s subjected to during flight. This process by which certain body parts grow at different rates than the body as a whole is known as allometry. Our brains, for example, are allometric, as they grow much faster than the rest of our bodies when we’re young. Our hearts are isometric, as they grow proportionately to the rest of the body. “Professor Eduard Arzt, our co-author from Saarland University in Germany, is an amateur pilot and became fascinated by the ‘bird wing’ problem. Together, we started doing allometric analyses on them and result is fascinating,” said Meyers. 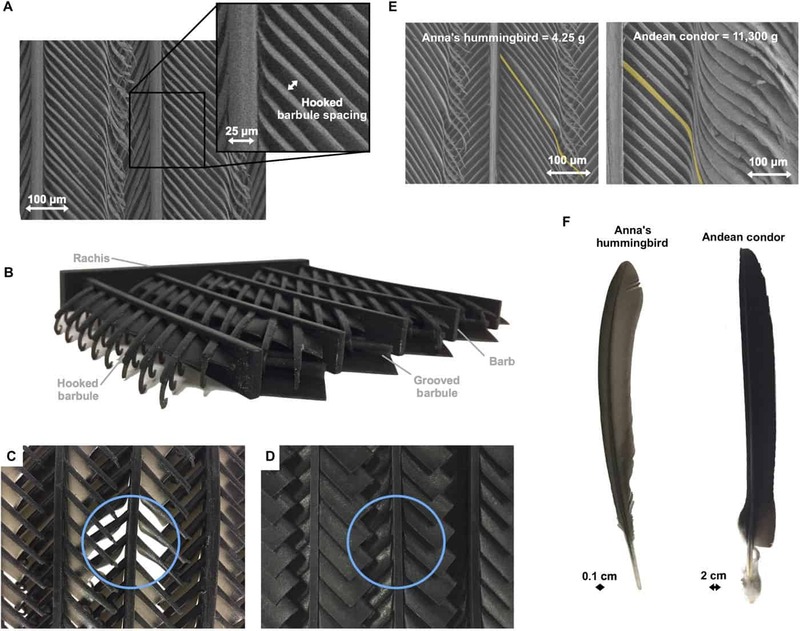 The paper “Scaling of bird wings and feathers for efficient flight” has been published in the journal Science Advances.